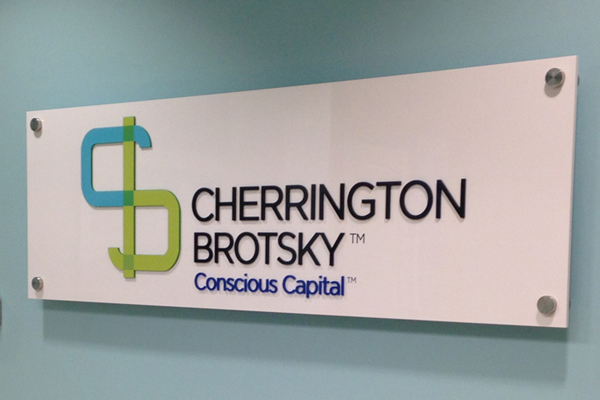 This is a beautiful acrylic sign that we created for Cherrington Brotsky, it also features some dashing metal cut dimensional lettering. Every industry comes with its own language. We want to know everything about your business so we can provide you with the correct final product. We also want you to feel confident in our creative and business process to get your projects done as quickly and as easily as possible. At Sign D'Sign we make every attempt to educate our customers about our business and creative processes. We've collected several resources and have posted them here to help you feel comfortable about speaking our language. Feel free to browse through our FAQs, Glossaries, and Helpful Hints about completing projects, marketing ideas, downloadable software archives, and application tips & tricks. If you think of anything we've left out, please let us know by contacting one of our representatives with the information listed below.